Lonely. Empty. Unhappy. Shackled. Not loved. This was my identity for eight years. I would ask the Lord every night to do whatever He had to do to set me free to worship Him again. Though I’d grown up with a strong spiritual family who taught me right from wrong, I’d forsaken them and God for drinking, drugs and a lifestyle that drove me away from Him. The world told me I was gay, that my new identity was in the LGBT community, but at my heart, I missed worshipping the Lord. I was so consumed with drugs, alcohol and, most of all, homosexuality, that it took one of the worst massacres in U.S. history—and the power of a praying mother—for me to repent of my sin. June 12, 2016, changed my life in a way I never expected. Three words describe the day before: Tired and hung over. I’d woken up late after a long night of crazy drinking and a few bumps of cocaine. My coworker and I were in a rush to get to work on that gorgeous Saturday, but I was looking forward to the day ahead. Our job was pretty easy that weekend—All we had to do was give out cookies in the downtown area for $25 an hour. Who would hate that? Though I’d spent the morning rushing around and cleaning up my coworker’s vomit, all I needed for a pick-me-up was an energy drink from 7-Eleven. This was my daily routine: Work, party, clean up, repeat. On June 11, my manager let us out early, so I went straight to the barbershop for a fresh cut—an easy way for me to pick up my self-esteem. Next, I headed to a friend’s housewarming party, where we all decided to head to Pulse nightclub in downtown Orlando. I remember love and laughter until 2:02 a.m., June 12, 2016. I was on my way back from the bar with my final drink for the night to bid my friends farewell with hugs and kisses. That’s when we heard the “big pop.” We know now Omar Mateen opened fire with a machine gun. We were like fish in a barrel. I tried to run, but it was too late. The moment I realized it was a gunman, he was only a few feet away from me and took aim at my body. Shots riddled my frame. I collapsed, yanking my friends down with me. They righted themselves and began to run. I tried to do the same. As I struggled to my feet, I felt a foot step behind my left leg and heard a loud snap. My left femur shattered. The only thing I could do was cover my head and pray that stillness would overtake my body. That last part wasn’t too hard given I couldn’t even feel my legs. With chaos all around, I could hear the shots, the screams, the glasses and bottles all shattering. I looked up and all I saw was bodies falling down one by one. I couldn’t believe what was happening. It looked like something out of a violent movie. I pinched myself over and over, praying I was stuck in a horrific nightmare. I wasn’t. Minutes later, silence overtook the room, but the echo of gunshots filtered in from outside. When I dared to open my eyes, dead bodies assaulted my vision. I desperately tried to console the lady next to me, but she writhed in pain and couldn’t keep still. I did the only thing I could: Held her hand and tried to reassure her it was going to be all right. That’s when we heard footsteps. Shots began again, but this time they were slow, methodical. Mateen didn’t want to leave anyone alive. I begged my neighbor to pretend she was dead, but the closer the shots got, the louder she shrieked. The footsteps were practically on top of us now. I held my breath and covered my face with my hand. Her eyes closed slowly. I couldn’t believe I’d just witnessed this beautiful lady die in front of my face. I was petrified knowing I was next. I heard the shooter behind me, gauging his next move. I prophetically claimed my life for the Lord. I told Him I would not leave that building dead, that I had a purpose and He would fulfill all the promises He made over my life. I knew in that moment that I was chosen and God had something big for me. I promised Him I would worship Him for the rest of my days. Officer Omar Delgado ran to my rescue and dragged me out of the murder scene. He forgot there was broken glass on the floor, and the shards lacerated my legs, exacerbating the bullet wounds. Despite the overwhelming pain, I knew I was alive. All I could do was thank the Lord and promise Him over and over that I would worship Him for the rest of my life. 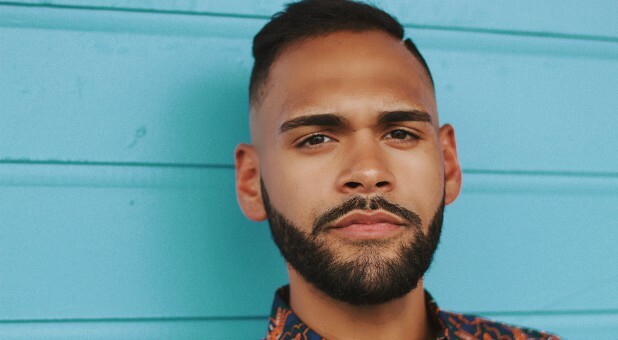 Born and raised in Massachusetts and a current resident of Orlando, Florida, Angel Colon is a 28-year-old, full of life and survivor of once the deadliest shooting in U.S. history. The Pulse nightclub attack killed 49 people and left over 50 wounded—including Angel who was shot multiple times and had a shattered femur. He sustained injuries that affected his right leg, both his hips and his nerves on both legs. Despite his wounds, Colon uses his strong spiritual grounding and faith to help others know the true love, happiness and peace God can give. This entry was posted in Repentance and tagged answered-prayer, peace, prayer-answered, Pulse-nightclub-attack, Repentance by pmaillet. Bookmark the permalink.